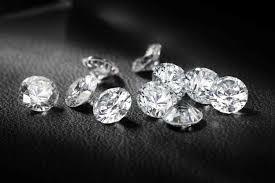 Online jewelry websites and online gemstone jewellery shops sites, fantastic options. So many designs, varieties, over flowing Awesumness!I am hooked! 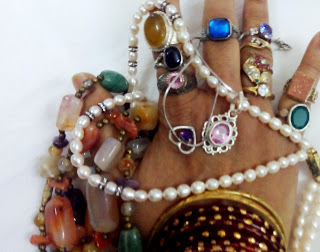 I ordered semi precious gemstone jewelry, it comes quite cheap and what more each outfit for every occasion can now have a different piece of jewelry set. Loving the uniqueness of show stoppers in each function, I , who would never wear artificial or semi precious jewelry also indulged in some with times. So received the pack, loved the designs. What I didn't like was that few stones(semi precious) were not even stuck properly. A drop pearl dropped as I opened the packing..sad..
And was shocked by the weight! OMG! so heavy ear rings!Next time you buy jewelry online please see the exact size of the set, ear rings and neck lace And also inquire about the weight of the pieces. Had to give away as there was no reason to return it, well, the product was supplied as shown and weight was not mentioned anywhere! Well, do read reviews with every online purchase. It really helps! And of course, do not think you get cheap deals, the products are priced according to the materials used. 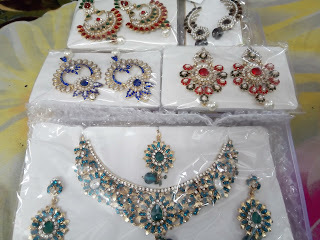 So if you find a pearl earrings for few thousand bucks and the other is in Rupees within thousand bucks then definitely there is a world of difference in the quality, you get what you pay for!!! Labels: Ordered Online Gemstone Jewellery OOPs didn't know this!